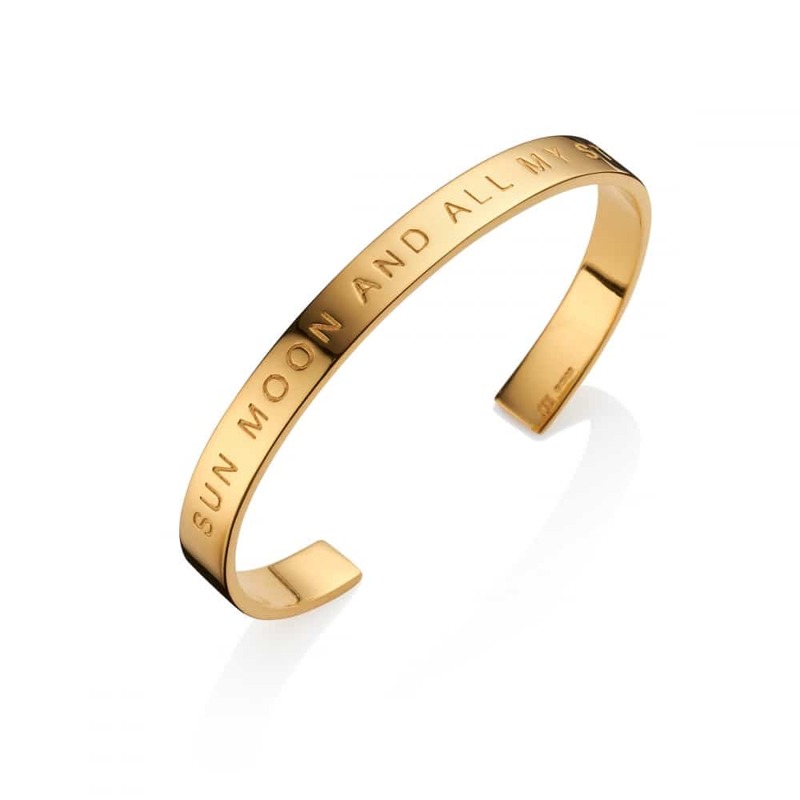 A solid silver yellow gold plated bangle deeply engraved with ‘Sun Moon and all my Stars’ around the outside. Let someone special know they mean the world to you. 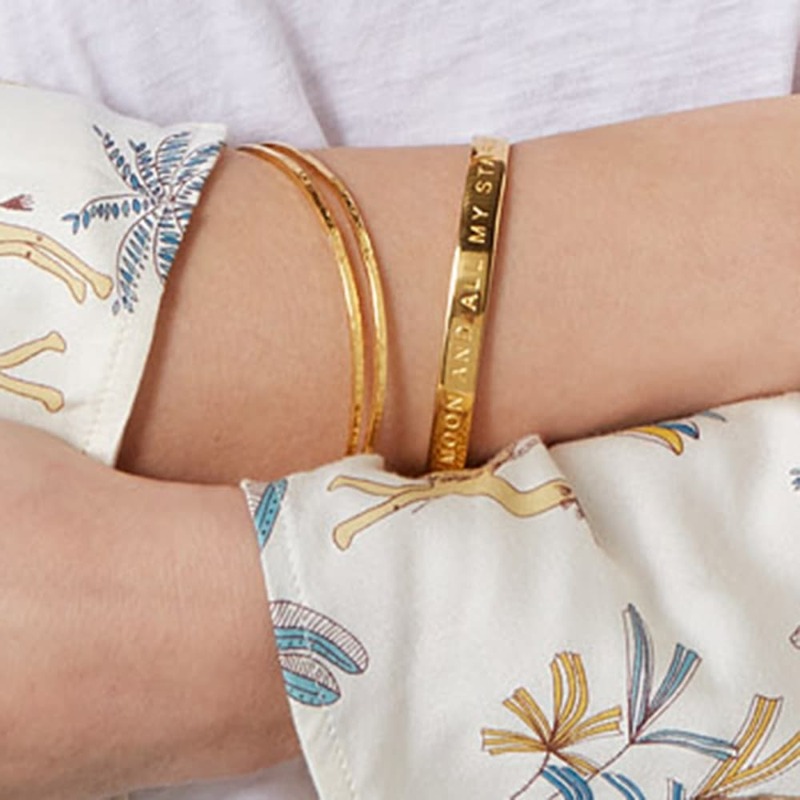 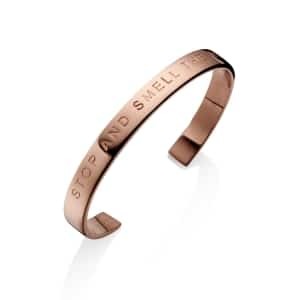 Suitable for everyday wear, the delicate bangle can be stacked with any of our other designs to create a fuller, richer look on special occasions.